steadily for at least two years, a student may request to receive the Bodhisattva Precepts. Here they make a commitment to live and practice the Bodhisattva vows and to continually cultivate the great aspiration to alleviate suffering for all creatures and the earth itself. If at some point the student feels drawn to the monastic life, and the circumstances in their life allow them to explore this, they would then enter into residential training at the Monastery. This is essential in our sangha as the monastic life is based in practice and service within the monastic community. After some time they could then petition to enter into postulancy, a period that lasts for a year or more. 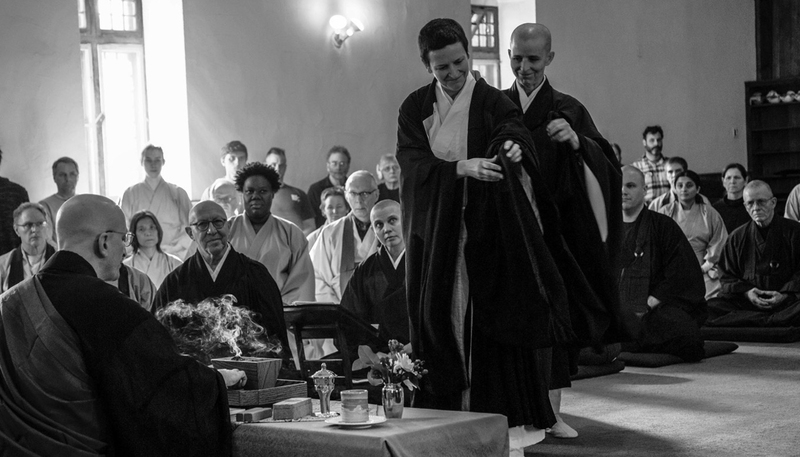 A postulant exchanges their gray student robe for a black robe lay robe and expresses their intent to begin to examine the reality of living their life as an ordained monastic. 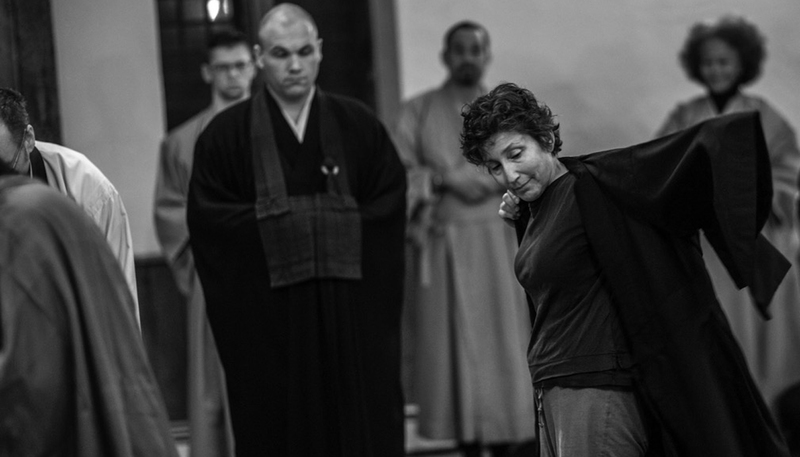 Postulancy begins the process of taking the first real steps towards experiencing one’s life as a monastic, both within oneself and the larger sangha, and people begin to relate to them as such. While postulancy doesn’t yet include taking vows, it begins the student’s period of discernment in earnest. It offers them the chance to encounter and grapple with their idealized notions of the monastic life and the lived reality. During postulancy, the student’s understanding of monasticism matures, which allows them to make a more honest and sincere decision. The effect this typically has on a student can be quite profound and sometimes unsettling as they consider the real implications of the monastic life. This needs to include a deep inquiry into and clarification of their basic motivation, their bodhicitta. Is there a deep urgency to practice and realize self-nature? Do they truly want to devote their lives to studying and practicing Buddhadharma? Serving the sangha and world? Also, and importantly, do they resonate with the monastic life itself: the daily discipline of meditation, liturgy and work; living in close contact with a monastic and lay community; living simply and without many of the normal occupations and entertainments of a lay life. If the student continues to feel called to the monastic life, they can request novice ordination. Here, with the taking of formal monastic vows, the novice begins to examine more deeply these essential questions. Their discernment becomes more dynamic and real as they work within themselves, their teacher, and their monastic sisters and brothers. The novice makes a commitment to examine and develop these vows during this time to clarify whether they want to continue towards final ordination, making these vows their own, their very lifeblood. What is especially interesting about this period of discernment—as the student strives to live each day with deep commitment—is that they live as a monastic, dedicated to the Way of the Buddha. At the same time, they need to keep their mind open and question whether this is, indeed, the life they feel an imperative to follow. So even though the novice has taken vows, it’s done with the understanding that this period of discernment will resolve in one of two ways: full ordination or a return to lay life. However an individual’s process resolves, their period of discernment has been successful if it helps them to become very clear about the nature of their path. I feel this is really important to understand. This is a process of clarification that is engaged wholeheartedly, and yet with the understanding that it can resolve itself with clarity in either of those directions. In this way it can help to provide clear direction and strong motivation in the student’s spiritual life. If the mind of the student is not truly open to both possibilities—that is, if they’re practicing under an assumption or expectation that their decision is already made—then they can feel like they’ve failed if they return to lay life. That would be misunderstanding the whole process as a real process of honest questioning and inquiry. When the novice is clear and confident in their desire to live the monastic life, when the discernment process has matured and stabilized, they can then request full ordination. At each of these stages—postulant, novice and ordained—the student needs to request entering that stage and be affirmed both by their teacher and the monastic council, the group of fully ordained monastics. In this way the student is being supported and guided by their monastic sisters and brothers, which helps to create a strong bond of shared love for this Dharma and the monastic life. It also makes it clear that at every step, the student is taking responsibility for their own decision, coming from deep within their own heart. This process is so important—not just to full ordination but to the monastic life itself—that even after full ordination, monastics continue their discernment. We speak of this as a process of formation. At this point, it’s no longer one questioning the monastic life, but rather an ongoing and ever-deepening process of developing trust and confidence in a life of refuge in the Buddha, Dharma and Sangha—of understanding home leaving. In formation, the student is trying to bring forth that which they feel they already are. They are committing to a life of not creating such ideas of identity and self. This is their “formation”—to not give rise to dualistic thoughts and aspirations, words and actions, but to instead allow their lives to naturally express the non-dual dharma of wisdom and compassion perfectly unified. The monastic is committing themselves to being authentic in their original nature, free of conditioned patterns and self-grasping habits. This requires an ongoing deep examination from within, and a wholehearted, undivided giving without. The monastic vows express the spiritual life that like all dharmas, all reality, cannot be defined but only pointed to. The vows guide the monastic in their path of dissolving all dualities—inner and outer, sacred and mundane, enlightenment and delusion, monastic and lay—in this particular time and place, within this community, in this lineage. The first of the monastic vows is simplicity. What is simplicity? Our culture is increasingly complex and filled with more than we can ever consume. Information, speed, volume, objects, media imagery—it’s a swirling place. The monastic’s life is a life of simplicity, which is not simplistic or naïve. It’s wide-awake, feet on the ground, aware and alive; it’s the ancient mystic path of silence and stillness. In true simplicity, we find joy and satisfaction, and profound understanding in the simple act of waking up every day, of having a meal, of doing beneficial work, of taking care of what’s important. It means to not accumulate wealth, to let go of worldly ties, to be completely dependent upon the sangha for all of one’s needs. 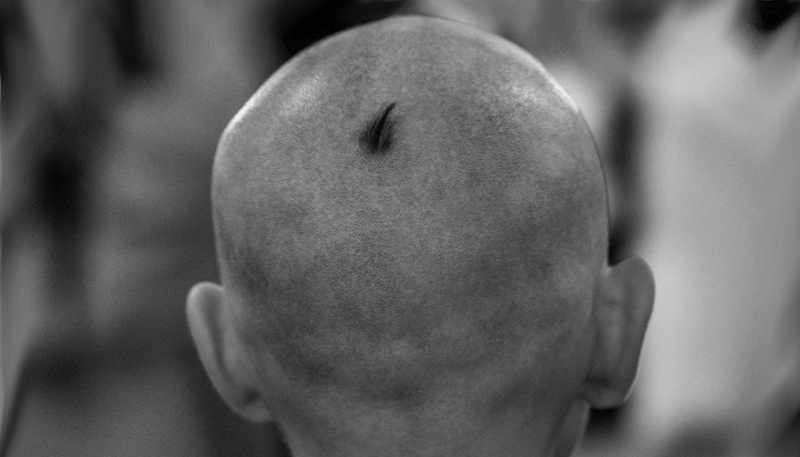 The monastic conducts themselves humbly and without contrivance, within a mutually dependent relationship with the sangha. When we trace back the radiance and have intimate contact with the unborn, we realize all things as essentially clean and fresh, without adornment or contrivance. I am like this, you are like this. I should say again that these vows are lifetime practices. The monastic lives a committed life, but should not be striving for some false sense of perfection. Like the Precepts, these vows develop over time and help to point out the places where the student needs to practice more carefully, more sincerely. Next is the vow of stability. Stability is recognizing that the spiritual life is a disciplined life. Discipline in the sense of freely giving oneself to one thing so one can be liberated by that one thing. It’s a life committed to practice-realization through deep study and then giving it all away. Stability here means that one’s primary decisions in life—work, children, relationships—have been considered and settled so there are no other responsibilities that a monastic life would interfere with. If there are interests or desires, such as travel, that one has, the monastic freely relinquishes those desires. For the monastic, our work is the Dharma, our family and community is the sangha. This doesn’t mean that we ignore or are disconnected from our parents and siblings; those relationships remain important to the monastic and are maintained within the scope and parameters of the monastic life. Monastic stability also includes a rule regarding intimate relationships. One may live as a solitary practitioner where the whole sangha and all beings are where one finds their fulfillment and connection, or one may practice within a committed relationship that is a place of stability. So it’s a stability—free of agitation and restlessness—of mind and body, emotion and thought, tension and effort, the whole universe. This vow’s purpose is to help us be very clear and direct in our path, day by day, knowing where we are and what our work is within a vast and boundless unknowing; to be committed to and unambiguous within our life. It’s a letting go of seeking excitement and diversion through looking outside. The vow of service is the commitment to the Bodhisattva Path, to be of benefit to the world and all its creatures. Rather than being a burden or constraint, it is a profoundly liberating way of experiencing the world. It is a life which is free from the confinement of self-concern yet does not ignore the necessity of taking care of oneself. If the monastic does not take care of herself or himself—their practice, physical body, emotional health—then how can they be of service to others? It has to be understood clearly, this vow of service. 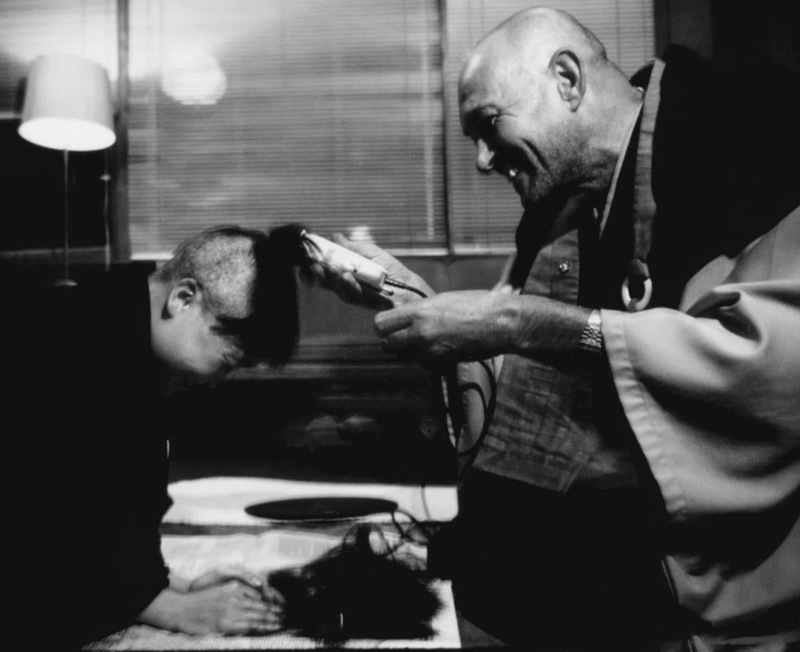 Service to one’s teacher, one’s monastic family, the seniors, to the sangha, to everyone who comes seeking the Dharma. It is service to those they encounter on city streets, and to those knocking on the door seeking help; those they find easy to serve, and to those they find difficult. To live this way is to simply bow and serve, without thought of recognition or reward. It’s the full and simple expression of our essentially unified nature . The vow of selflessness is really the heart and soul of the buddhadharma, the heart of being itself. Selflessness is prajna, wisdom; karuna, compassion; upaya, skillful means. All of these truths and expressions of our basic nature arise from selflessness, from this great truth which cannot be seen or heard, measured or compared. This vow is to develop selflessness every day, in every thought and every action, in our relationships and work, in our zazen and liturgy. It is to commit ourselves to realizing and living this vow and aspiring throughout our lives to journeying deeper and deeper into this truth which is nothing but great emptiness itself. Ours is a practice tradition; we will discover and embody this selflessness by realizing and living it. That is its power. The last of the five monastic vows is the vow to Accomplish the Buddha’s Way. The Buddha said that this is a long path, and so we vow to live in the spirit and the manner of the Buddha Shakyamuni through every thought, word and deed. It’s not just an idea of the Buddha’s Way as something ineffable, but as historical truth, actually following the example of this person who lived in a particular place and time and provided a brilliant example of a person of the Way. 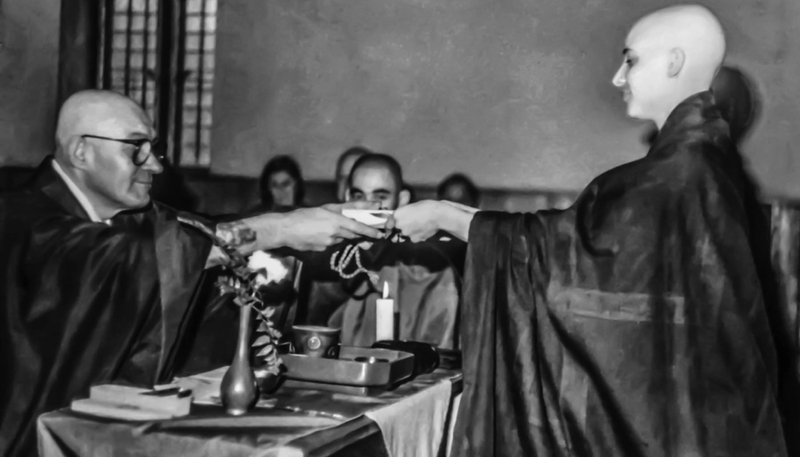 The vow of the monastic is to have a great respect and reverence for all the great traditions of Buddhism, for all spiritual traditions, and for all beings. The monastic pledges to uphold and maintain their vows, and to live in accord with time and seasons. This means to be fully engaged within an ongoing dynamic tension between the essence of our tradition and it’s everyday expression. Within this tension, which is good and healthy, is how we live together, create a Dharma community, and respond to what’s happening in our world. The things that we do, the way that we live matters. How do we, as monastics and lay people, maintain the heart of this great wisdom tradition? How do we live with deep respect for the teachings and practices we’ve received, and keep them alive and fresh? We need to infuse our practice with life, again and again, every single day. Discernment is a particular process for the monastic in our tradition, and monasticism is a particular expression of the religious life. But a process of discernment is relevant for us as lay practitioners, too. Each of us is invited to examine our life, consider what is most important, and make living commitments in accord with our life’s path. It’s so easy to just live each day consumed with the tasks that lie before us, and in this way, months and years can pass without our knowing. We can be pouring our essential energies into things that may not be truly of benefit to ourselves and others, or are not the result of a clear and conscious decision. Or we may be continuing things that had a purpose, but whose purpose is no longer vital. Of course, we must also work within the practical needs or constraints of our lives. Whatever our circumstances, living by inquiry and examination can help us be awake to the whole world—inner and outer—and bring us into close, intimate contact with the ground of being. 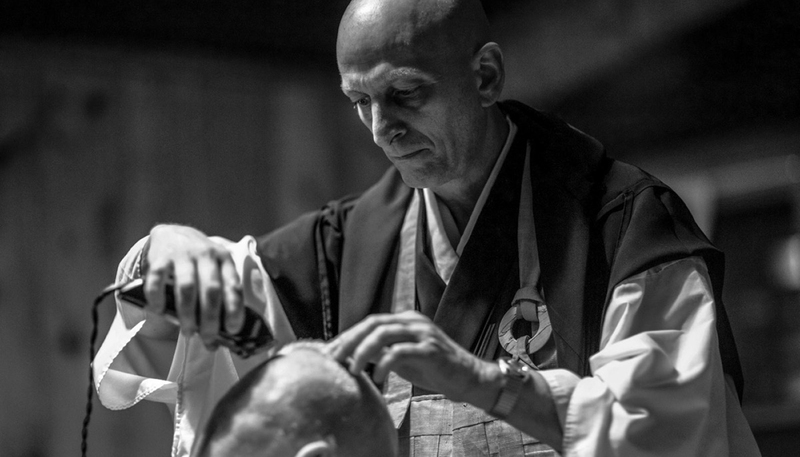 Geoffrey Shugen Arnold Roshi is the Head of the Mountains and River Order and the Abbot of Zen Mountain Monastery and the Zen Center of New York City.